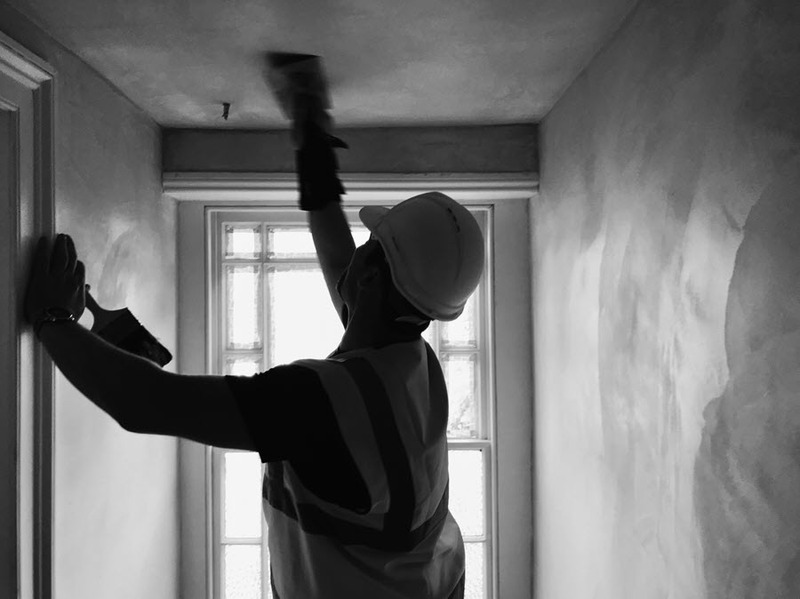 Phil was commissioned by OLBC to plaster the walls and the ceilings in a Grade II* listed property in Kensington Gate. OLBC are carrying out the full house refurbishment including restoration of areas of lime and ornate plasterwork. And we require the highest level of craftsmanship to achieve outstanding results. 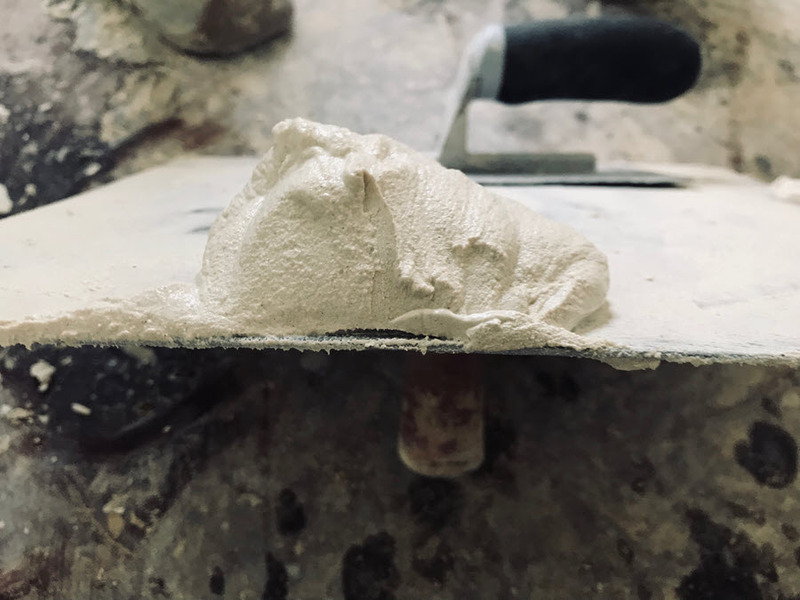 All of the lime plaster materials have been supplied by Mike Wye & Associates. I meet Phil on site, where he is plastering on the mezzanine. He talks as quickly as he moves; timing is key in this job. Phil looks somewhat reminiscent of a baker folding bread, moving his trowel across the walls, manipulating the plaster. 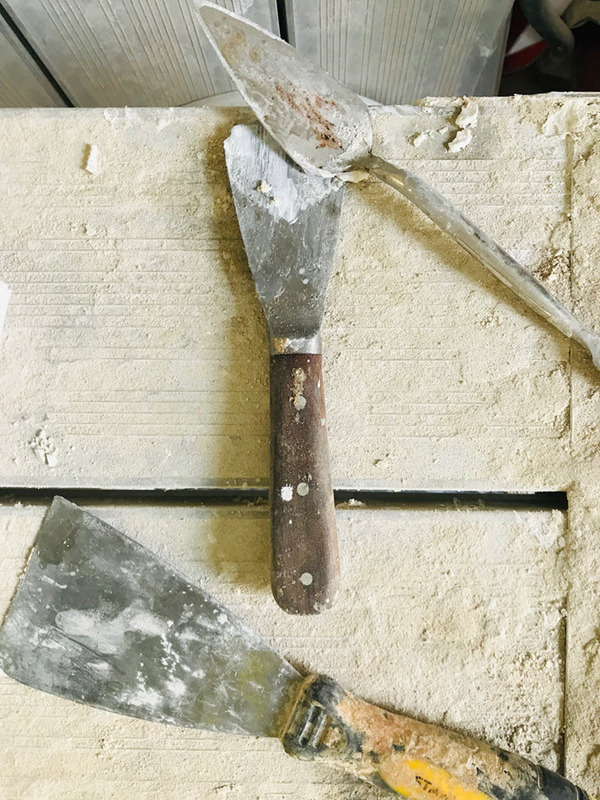 He moves the plaster from left to right, swapping between four different sized tools in his hand to smoothen out the plaster. It’s tricky to photograph him without getting in the way, as he moves rapidly from one spot to another. There’s something weirdly hypnotic about watching the plaster being manipulated as the sunlight falls on the dappled walls. Phil visited the site and marked up the areas before he starts the job, mapping out his journey before they start the work. Phil’s team work from the top of the building and move downwards. As we walk around the building, we observe lots of patches on the walls. They have to build that off the lathes. Lathes are thin strips of timber, usually chestnut larch or oak which are either riven (split into strips) or sawn, which get nailed to the timber joists and studs a few millimetres apart to allow the base coat of plaster to interweave itself into. One coat of plaster is embedded between lathes, then left to set. Once it has dried and is solid, you can build it out further, with another coat. Once that has set, you repeat the process again. It is then built up in layers to match the thickness of the ceiling around it. Each coat has to be allowed to slowly dry out before you can apply the next layer. And lime plaster has to be allowed to dry naturally and slowly – too fast and it cracks and crazes. Phil informs me he likes working with listed buildings because it’s more of a challenge. Unlike other craftsman, Phil isn’t interested in decorative finishes. He is a man who gets satisfaction from rebuilding, fixing, and efficiency. When I ask him what his favourite job has been to date, he answers that he enjoyed constructing a spiral banister with curved staircase. It’s evident the element he enjoys most about his job is the challenge. After our chat I admire the walls that have been finished with the final layer of regency plaster. I rather like the organic, raw look of the regency finish without paint. If this were my home I would be tempted to keep one of the rooms as it is. 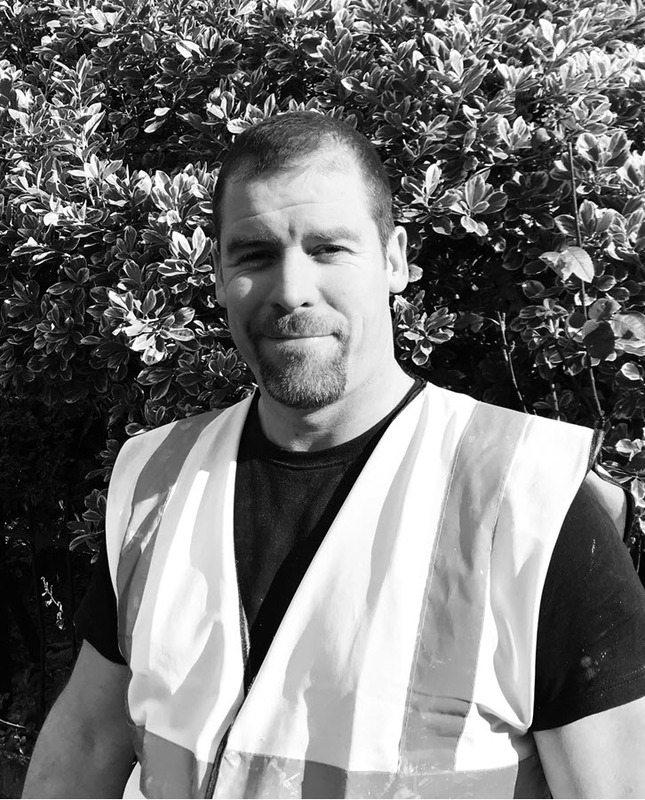 Phil is one of many craftsmen that specialise in heritage buildings on our client projects. 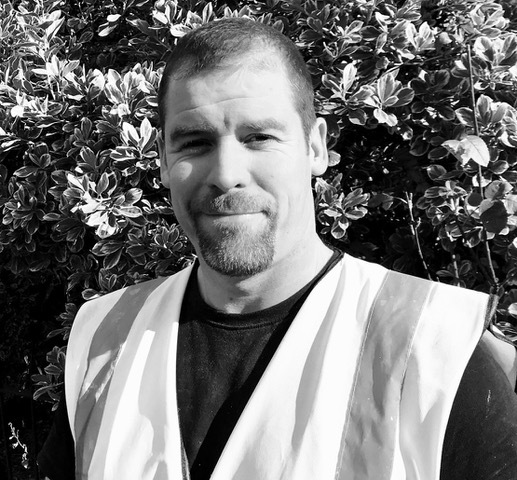 Phil’s experience, combined with the exceptional talent of our team of interior designers, architects, engineers and planning experts allows OLBC to manage your project with the highest level of care.